We hope you can join us in connecting the struggles and resistances from the South to the North. 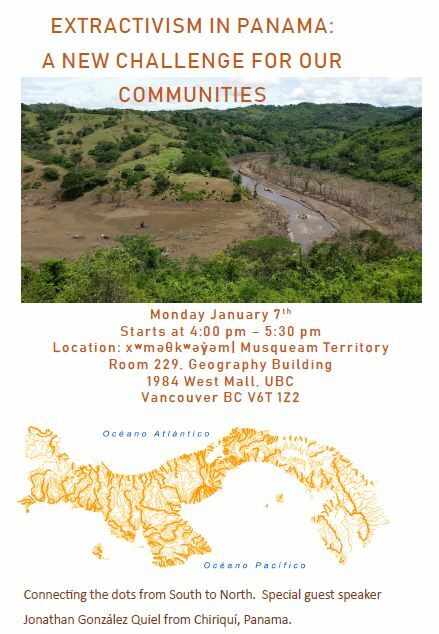 A presentation on the exploitation of natural resources extraction in the western part of Panama. A ten-year glance of the extractive model’s impact on Indigenous and Campesinos communities. 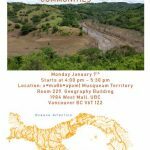 Special guest speaker Jonathan González Quiel (Historian and Geographer) from Chiriquí, Panama. Jonathan González Quiel is an activist and defender of environmental rights in the northern western part of Panama. He completed a bachelor’s degree in History and Geography at the Autonomous University of Chiriquí. For the past ten years Jonathan has supported collectives in protecting native land and water from hydroelectric companies, advocating for the conservation of the earth and Indigenous communities. This is a free presentation. All welcome. Please let us know how we can make this event more inclusive. For further information, email nati.garcia85@gmail.com.